March 5, 1960, was “E-Day” for the United States Army. 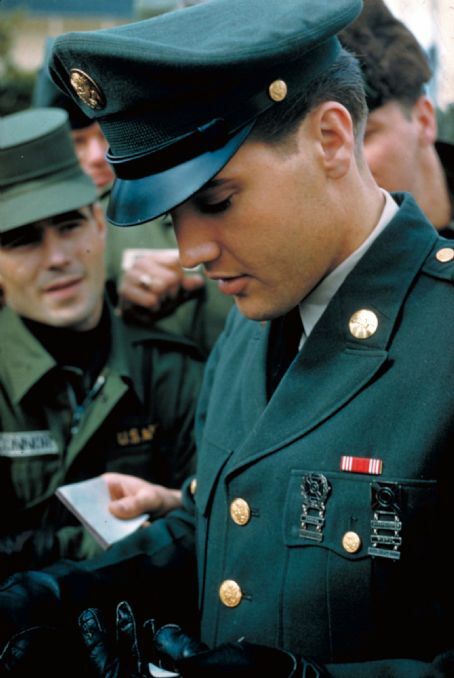 At 9:15 that Saturday morning, Elvis Presley was officially released from active duty at Fort Dix, New Jersey. Multiple press conferences and a hoard of newspaper articles heralded his return to civilian life and the entertainment business. 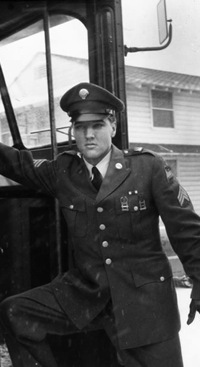 Press coverage of his discharge started to ramp up a month earlier, as both the media and Elvis himself began to speculate on the nature of his new role in the music business, which had changed considerably during the two years he had been in uniform. 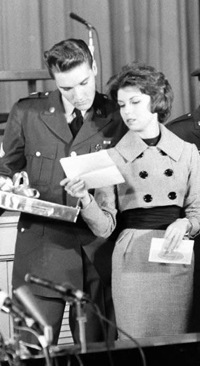 “The interesting part of all of this,” noted Billboard’s Bob Rolontz of the media’s focus on Presley’s coming discharge, “is that many—if not most—of the magazines and newspapers … are coming up with such offbeat ideas as ‘Can Elvis Come Back?’ or ‘Can Elvis Sing Sweet?’” During the time that Elvis had been away, his kind of high-energy rock ’n’ roll had softened and been absorbed into the pop music mainstream. Would Elvis come back aggressively and try to revive old school rock ’n’ roll, or would he adapt his style to current trends on the top 40 chart? 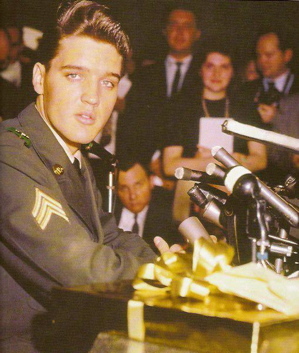 Elvis first weighed in on the question in a wire service story on February 10, 1960 (24 days before “E-Day”). 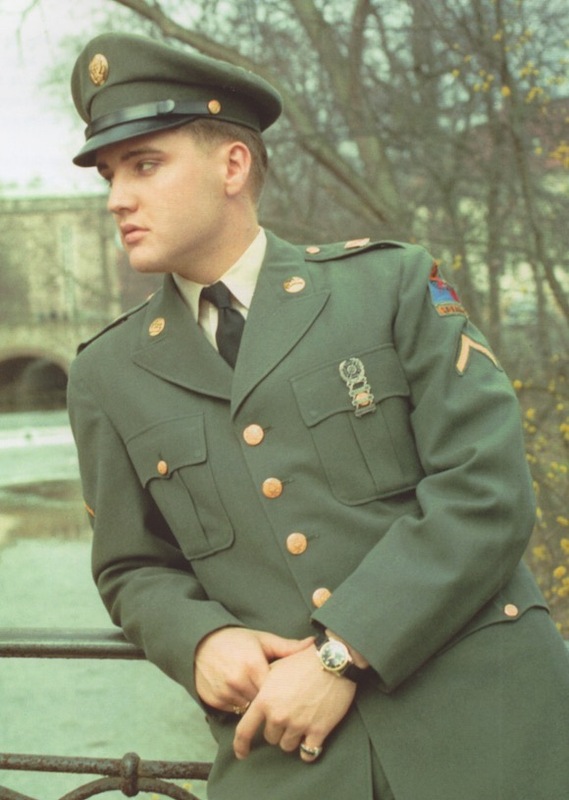 The UPI writer interviewed Elvis while he was in the field on army maneuvers. 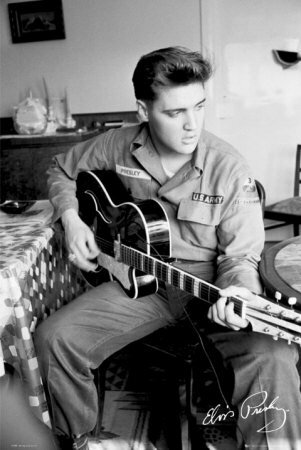 “I didn’t get a re-enlistment talk,” Presley said while warming his hands over a campfire. 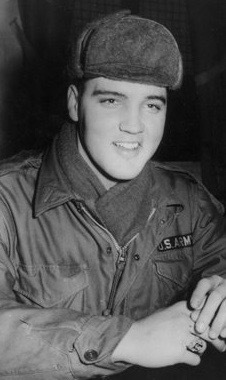 “I think they knew better than that.” According to the reporter, Elvis admitted that he’d soon have to decide “if rock ’n’ roll has waned in popularity and whether to change his hip-swinging style.” His basic ambition, though, he said was to rebuild his career on a combination of singing and series acting. 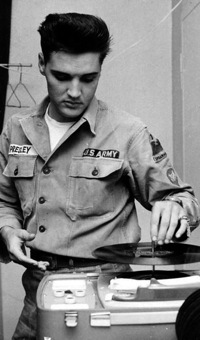 As his discharge neared, Presley certainly knew he had to make some quick decisions concerning his musical style. 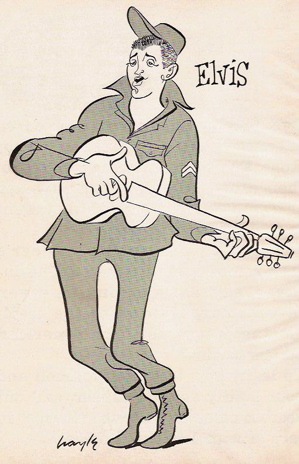 He had not been in a recording studio for over 20 months, and there was nothing in the bank at RCA to provide him a cushion of time to get readjusted to civilian life. “A Big Hunk O’Love,” the last quality recording left from the June 1958 recording session, had been released in July 1959. 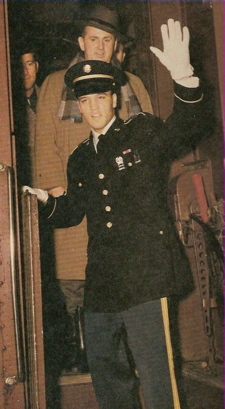 A new Presley single and album were long overdue, and so the singer knew he would have to record some material soon after his discharge. “I’ve read reports about the record industry … about what’s happening to the music and this is dying out, that’s dying out, this is finished. But actually, I don’t know. I was reading the same thing in 1955, and that was the big beginning of the whole thing." “In the entertainment business the future is very uncertain. You never know. You can only try. So I’m only gonna say I’ll try to continue to please the people enough that they keep liking me and keep interested. As far as actually knowing what the future holds for me, I’ve got no idea." “I choose my own songs. I don’t think there’s anybody who can decide what I can do best better than me. And I think it would be a bad mistake if I had someone else tellin’ me what to record, or how to record it, because I work strictly on instinct and impulse. I don’t read music. My taste might be a little different because I choose songs with the public in mind. I try to visualize it as though I’m buying the record myself. Would I like it? And I try to please the public, and I don’t think anybody could choose ’em for me like I can." “My type of music—I mean the kind of records that I have been making—they don’t seem to appeal to the older people like they do the young people … And as far as making more of them like me, it’s almost impossible to make everybody like you. You can’t please ’em all, regardless if I change my style and started singing something that maybe would appeal to the older people, then I might lose something else. So you have to let time take care of itself." 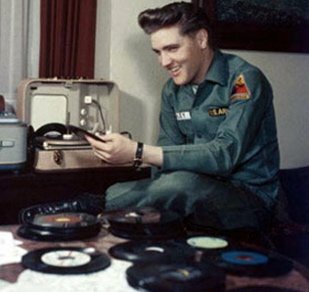 Back in the states, RCA was preparing for whatever musical choices Elvis might make. 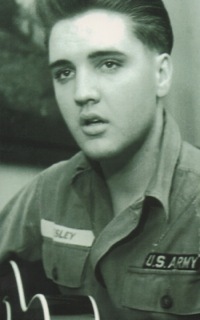 On March 2 (3 days before “E-Day”), RCA executive George Marck told Variety, “Presley is enough of a good and innate showman to spring something new.” Variety further reported that RCA’s Steve Sholes and Colonel Parker were screening material and mulling over whether Elvis’s new repertoire would vary from rock ’n’ roll and country and western. “It is assumed also that Presley will have his own idea of material,” Variety added. 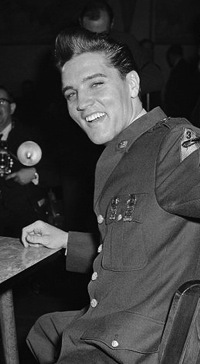 Hill and Range’s Freddy Bienstock, in charge of finding new songs for Elvis, had accumulated a stack of demonstration records from staff writers, which included veteran composers, such as Aaron Schroeder, who contributed “Stuck on You” and “It’s Now or Never,” and newcomers, like the team of Doc Pomus and Mort Shuman, who offered “A Mess of Blues.” A varied and first-rate collection of material had thus been gathered and would be awaiting Presley when he returned to the recording studio in Nashville in March 1960. 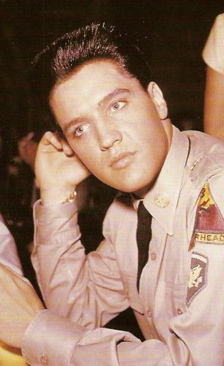 Of course, we now know how Presley’s musical repertoire developed in those first couple of years after returning from the army. 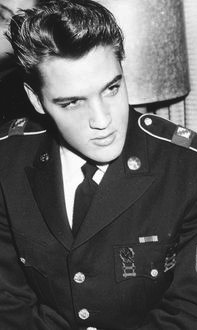 He kept contact with rock ’n’ roll with recordings like “Stuck on You,” “Such a Night,” and “Little Sister.” To that he added strong pop ballads, such as “Are You Lonesome Tonight?” and “Can’t Help Falling in Love.” Combine all that with the pop arias “It’s Now or Never” and “Surrender,” and it’s clear that Elvis returned to the music business in 1960 as a much more diverse vocalist than he had been before entering the army in 1958. "I’ll try to continue to please the people enough that they keep liking me and keep interested. As far as actually knowing what the future holds for me, I’ve got no idea."